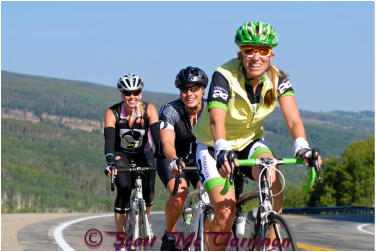 Vail Valley Vixens is a cycling club of women that love adventure by two wheels. Road, dirt or both we are passionate about bikes and enjoy sharing that excitement. Vixens offers a supportive, educational, fun, social environment for women to connect with other like-minded women, learn more about riding in the Vail Valley, and be inspired by the momentum of cycling. We offer great membership perks with amazing local sponsors. And of course, we rock a stylin’ cycling kit! ​Nadine Davis has called the Vail Valley home since 2000. Originally from Dike, Iowa and a graduate of the University of Northern Iowa, where she swam on the UNI Women's Swim Team, she was ready for the adventure of the mountains! Nadine enjoys mountain and road biking. On the dirt she has raced cross country locally and regionally. On the road she enjoys social rides in the Vail Valley, Ride the Rockies, RAGBRAI, Copper Triangle and other epic rides and tours. Whether a big day in the saddle or a casual pedal for a coffee, riding a bike puts a smile on her face! 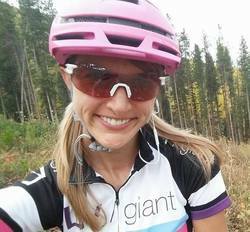 Nadine enjoys being involved in the Vail Valley community and is passionate about bringing women together on bikes. This passion is what started Vail Valley Vixens. Nadine is also the Club Director at the Arrowhead Alpine Club. ​Celynn Krueger McClarrinon is native to the Vail Valley. Her parents moved here in 1967 and her family is still involved in the community. Celynn has had a passion for many sports over the years including inline skating, Nordic skiing, snowshoeing, running and road biking. She participates in the local race scene. She enjoys being out there with other woman who love to stay fit, challenge themselves and make new friends. Celynn is married to Scott McClarrinon and they have 8 year old daughter named Mary. 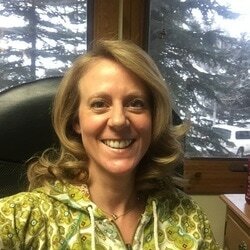 Celynn is a Licensed Social Worker and is a Certified Grief Recovery Specialist. ​Growing up on Long Island, Tracy moved to Avon, CO in the winter of 2001. She started working at Venture Sports in the winter of 02-03, an original die hard snow lover, she found her love for summers on a Mountain Bike. After getting married to Jeff in 2005 and growing her family, with the addition of their son, Hayden, in 2008. Tracy quickly found how easy it was to take her growing son in a trailer on a road ride. In 2012 with the birth of their daughter, Harper, Tracy is still riding the road and mountains but loves going for family cruisers. ​As a Liv Ambassador she is a great resource for women's cycling and all things Liv, a women's cycling brand created by women for women from the ground up. ​Stephanie, originally from Texas, moved to Edwards in October of 2000. Thinking she would only be here for the winter season, it has now been 18 years and she loves the Vail Valley. Texas still has a big place in her heart as her wonderful family is there. She and her husband Chris got married in 2011 and moved to Eagle Ranch where they still live with their cat Vixen. Stephanie loves getting to spend quality time with friends and family, wearing her flip flops, enjoying the sunshine and of course, road biking. She feels strong and carefree on her bike and loves where it can take her. Inspired to share this passion with other women and girls, she is excited to be a part of the Vail Valley Vixens.